At Above All Projects, we provide a comprehensive approach to construction renovation projects. Above All exists to create a positive difference in people’s lives. By valuing our customers through listening to their needs, communicating professionally, and providing expert services. By being a company where our employees are valued, cared for and empowered to reach their potential. In addition, everything we do at Above All is governed by the principles in our Values Statement which reflects our commitment to exceptional service and maintaining a dedicated and well-trained staff who truly love what they do. Our Values Statement also demonstrates how seriously we take the safety of our employees, upholding above-industry safety standards. Above All’s high safety standards have been documented through our COR Safety Certification. Above All is COR™ Certified and among a group of industry leaders that have implemented a comprehensive safety program into its everyday operations. The COR™ Certificate of Recognition is endorsed by the Manitoba Workplace Safety and Health Division and is nationally recognized by provincial jurisdictions participating in the Canadian Federation of Construction Safety Associations. Above All has fully implemented all 14 elements of the Construction Safety Association of Manitoba’s Safety Program into its company operations and successfully passed two required audits in order to achieve Safety Certification. This is recognized as the highest level of safety certification in our field. 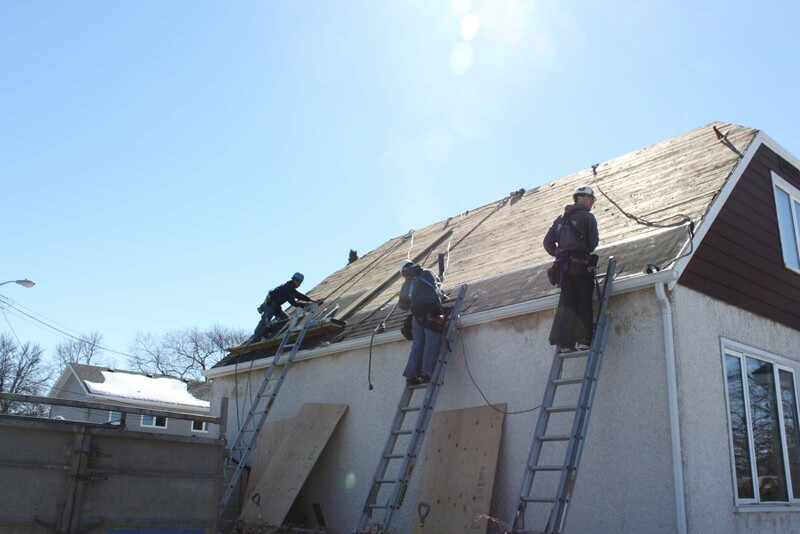 Above All Projects is also proud to be a member of the Manitoba Shingling Contractors Association (MSCA), Manitoba’s largest team of sloped roofing specialists. The MSCA is a network of contractors across Manitoba who are committed to a uniform standard of excellence in service, workmanship and professional business ethics. Our General Manager, Jeff Ehlers, is currently the President of the MSCA: a position that allows our company to have a greater impact on elevating the standards of the industry.